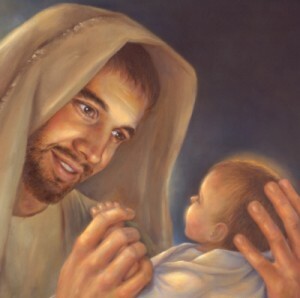 “Joseph’s Lullaby” is a song by the Christian rock band MercyMe that gives us a glimpse of how Joseph may have viewed the birth of his new son. The touching lyrics foreshadow the eventual ministry and atonement of the Savior, but gently reminds us that Joseph was also simply a father who loved his newborn child. The song was written in 2005, and reached #33 in the U.S. Billboard charts, and #1 in the Christian music charts. My deepest thanks to Coulter Neale for providing the guitar and vocals for this arrangement. Go to sleep, my Son. This manger for your bed. You have a long road before You. This world can wait for one more moment. Is lying in my arms tonight. Soon enough You’ll save the day. Oh my Jesus, sleep tight. Beautiful song, you guys did a great job. Thanks for Sharing! AWESOME!!!! this is my favorite Christmas song. You did a great job!!! Thanks for sharing your talent with us all.